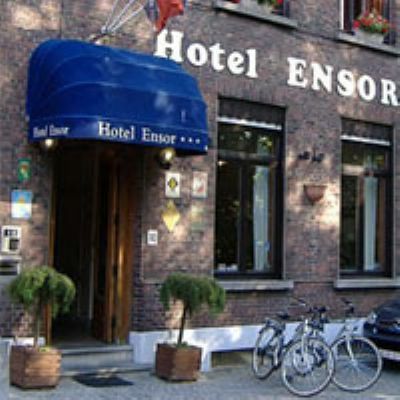 Hotel Ensor *** is located in a quiet, leafy surroundings, along a typical Bruges canal! 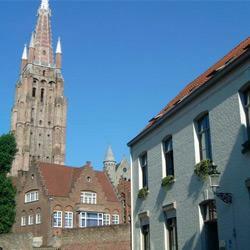 Only 100 m from `t Zand, our family hotel is centrally in Bruges` Old Town. A private garage is available subject to reservation! Our 12 rooms are neaty furnished, all have a bathroom with shower and toilet. In addition, there is a radio and telephone in each room. Other facilities: quiet terrace in the back and bicycle-rental. Staying in the heart of Bruges. 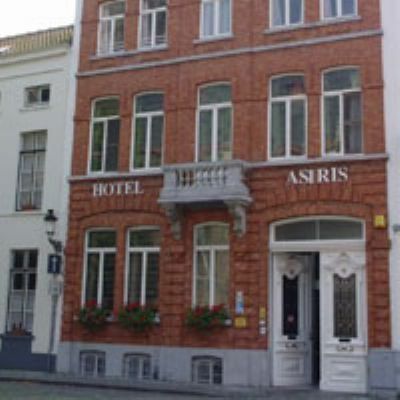 The Asiris hotel, a restored patrician residence in the shadow of the 15th century St-Gillis church, is situated in a very quiet quarter. You can park your car for free in the streets around the hotel. Attention: as of 15 Octobre 2004, on-street parking in the city centre will be limited to 2 hours for metered parking, and to 4 hours for free parking spaces (« blue zone » parking: a parking disc is required). We strongly advise you to use the underground car parks: 4,000 available parking spaces. More information can be obtained from the reception. You can also request for a private garage or parking for 10,00 € each night. 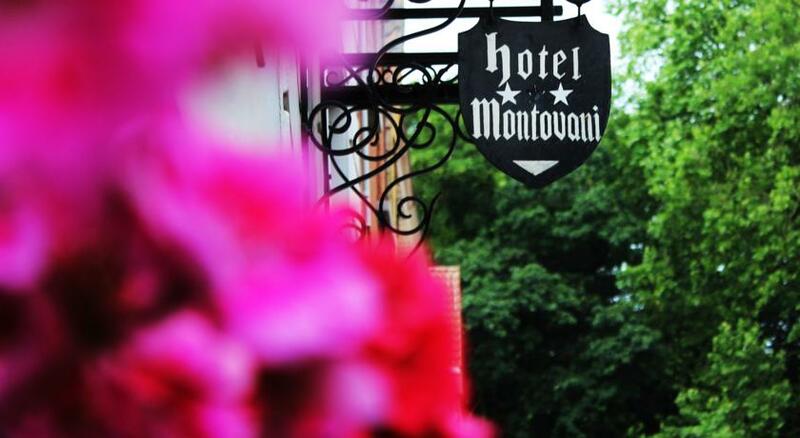 We stand for a high level of personal service and hospitality. Our outstanding buffet-breakfast is a stimulating start for a rewarding day in the beautiful town. The hotel has no elevator. Children allowed from 6 years of age. It is not possible to put extra beds in the rooms. We have several types of rooms (single (1) - small doubles (2) - these rooms are located on the third floor, a triple room and even 2 family rooms - 1 big bed + 01 bunk bed for children between 6 and 16 years of age !) - located in a seperate house at the back of the hotel's garden. For all further information and promotions please visit our website www.hotelasiris.be. 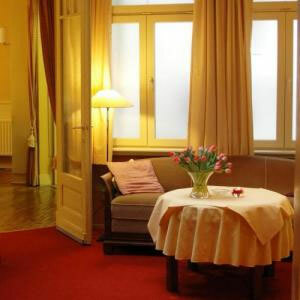 www.hotelmalleberg.be Visit our website for Special Offers ! and our Best Last Minute rates! Along the N16 in the Gasthuisstraat the brand new hotel TTS is located. This business hotel offers an ideal solution for people who need to be in the TTS-industrial park. The hotel offers 17 rooms including 4 deluxe rooms. There is a large parking present. The area of TTS hotel is also ideal for cyclists and walkers, including the shopping center of Sint Niklaas is not far away. 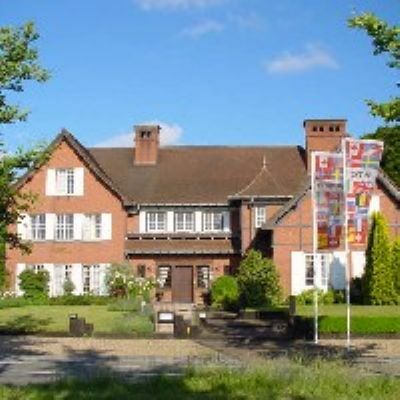 The hotel is suitable for businessmen, but cityhoppers and families are welcome! 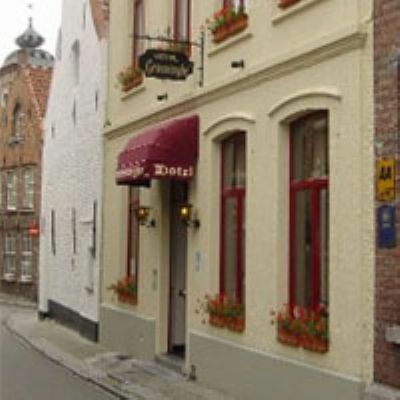 The Bonobo Apart Hotel is situated in the historical heart of Bruges in a very quiet and picturesque street. The hotel has 10 apartments (1 - 6 persons). You have the choice between 'standard' (breakfast, no kitchenette) or 'self catering' (kitchenette in the apartment, no breakfast, end of stay cleaning). Good to know: the hotel has an elevator, wireless internet (wifi), a private car park next to the hotel, a sunny terrace. Pets are not allowed and all rooms are non smoking. Hotel restaurant Limited.co Gent is a combination of a healthy restaurant which serves salads, pastas, fish- and meatdishes built on the principles to serve fresh and natural food, and a cosmopolitan hotel where peace and a relaxing environment are the main ingredients for a soothing stay. 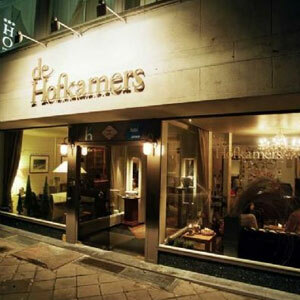 Located in the heart of Ghent, we are a step away from the centre of this cultural city. Please, do have a look at our site to discover more. 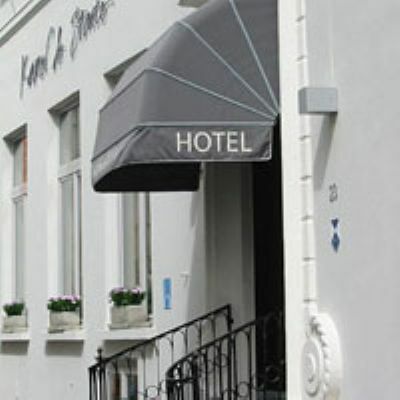 Hotel "Karel de Stoute" is a charming, peaceful 3-star hotel situated in the very heart of Brugge. When the duke’s son Charles the Bold (Karel de Stoute), count of Charolais, married Margaret of York in 1468 he gave this house as a dowry to the newly wed couple and named the house “ Hotel Charolais “. After the death of Charles the Bold and later his daughter Mary of Burgundy, the Prinsenhof lost its interest and bit by bit it was sold. Yet this stately mansion of ‘Carolus, Duxus, Burgu’ still remains a dwelling of great historic value and fulfills its predestination as a hotel on a quiet location, where we will make you feel at home. It is today a intimate hotel - just 9 rooms - in a place full of history and known for its personal service with owners that will be there for you.All rooms are different - some of them spacious (superior) and with high beamed ceilings- have en-suite facilities(bath or shower), telephone and colour television.There are also family rooms and adjacent rooms with a connecting door.With its quiet location in the historic centre, everything is just a short walk away. A succulent Flemish buffet-style breakfast served with a friendly personal touch in a authentic room will be an excellent start to your day ,that can be concluded with a drink in the vaulted cellar bar .From morning till night you will always savour the homely atmosphere. Ten Lande has a Bar and there is a cosy snug area with open fire where you can drink an aperitif or a cup of coffee. With nice weather you can sit outside in the garden. For dinner we can inform you about the several restaurants in the direct area of the hotel. We offer 8 comfortable rooms, each with toilet, bath or shower en-suite, telephone and Cable-TV. After a good night's rest you will enjoy the home-made bread, coffee or tea and orange juice. We have plenty of parking space, and behind the hotel is a private parking where you can get into your room direct by a separate entrance. Hostellerie Ten Lande is centrally situated in respect of Brugge (10 minutes), Gent (20 minutes) and Oostende (20 minutes). In Beernem, you can take a lovely walk in the "Bulskampveld". This wood has several country walks, a nice botanical garden and a cosy tearoom. The "Bulskampveld" is about 2 minutes by car from our hotel. Nearby are cycling tours for the nature-lover. The railway station of Beernem is situated about one minute by car and has a free parking. On busy weekends, it will be much better to go by train to Brugge, Gent or the coast. At the hotel reception, you can get a free brochure and event calender for Brugge. 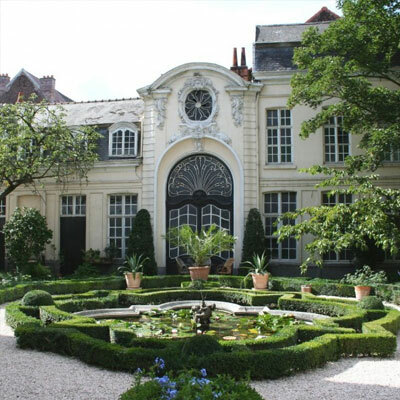 Until recently, this beautiful house was the home of the Verhaegen family. It was built in classic eighteenth-century style and has recently been tastefully and skillfully restored and converted by two interior designers into offices, a showroom for their business and an interiors shop, as well as a Hotel. Marc and Jan happily share the various parts of their home with visitors and guests. The elegant dining-room, restored to its original colour scheme, is on the ground floor. Next door is the lounge, whose mix of antique and contemporary furniture and furnishings give it an attractive atmosphere. Both rooms open onto a charming courtyard garden, inspired by Classical designs. The four guest bedrooms upstairs testify to the owners' marvellous design skills, effortlessly merging antique and modern, as well as some "home-made" pieces. This is a must for lovers of high-quality interior design and art, or simply for those looking to enjoy their surroundings! 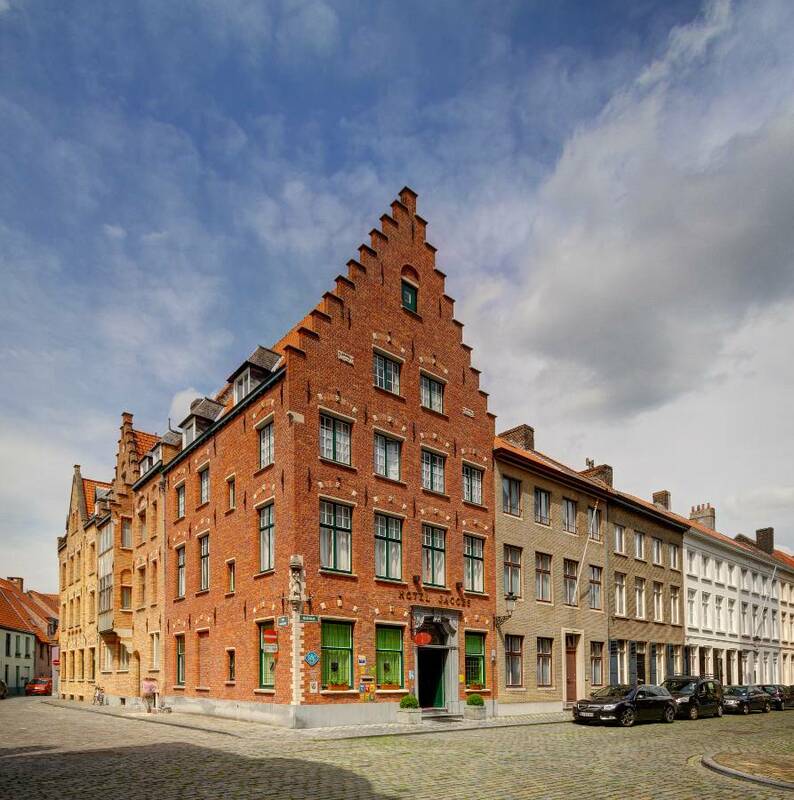 Jacobs Hotel Brugge is ideally located in the very heart of the historical town center of Bruges, in a picturesque and quiet street right in the shade of St.Gillis Cathedral and just few minutes walk to the Brugge Grote Markt Market Square. There are many great attractions near Jacobs Hotel Brugge including Bruges Belfry, Basilica of the Holy Blood, Groenigemuseum, Church of Our Lady and Minnewater. The romantic canals of Bruges are only a few steps away from Jacobs Hotel Brugge - ideal for a nice evening stroll ending your beautiful day in Bruges. 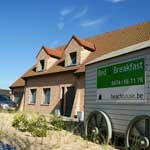 The hotel is nested in a historical typical for Bruges building, dating back to 1829, and offers a breezing mix of ancient stylish elegance and most modern facilities. Jacobs Hotel Brugge features a cozy meeting room and free wireless and wired Internet access, making it a convenient accommodation in Bruges, moreover, this central Bruges Hotel offers amenities, such as a bar, offering almost all kinds of Belgian beers and the renowned Belgian chocolates. All 24 hotel rooms have private facilities with shower/toilet, hairdryer, cable TV, direct telephone line, bicycles are available for rent upon request. 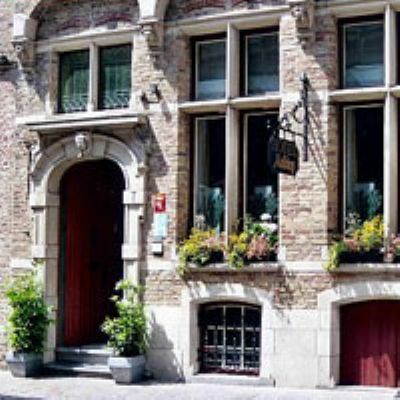 Hotel Jacobs Brugge is a smoke-free property. The multilingual staff at the Jacobs Hotel Brugge is always available to satisfy your requests and help you making your stay in Bruges truly unforgettable.